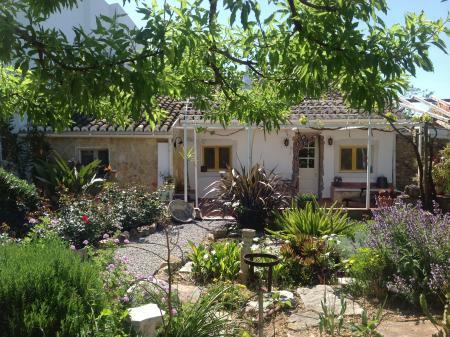 CASA RISONHA, a renovated Portuguese-style farmhouse on a 6000sq.m parcel of land - Holiday house in Moncarapacho in the Algarve. In the beautiful landscape of Eastern Algarve, where the sun shines an average of 3200 hours a year, where tourism isn't widespread yet - that's where Moncarapacho, a typical Portuguese village, is located. Moncarapacho boasts various restaurants, cafes, a post office, a bank, a laundromat, a pharmacy, a pottery, various small shops and some smaller supermarkets. 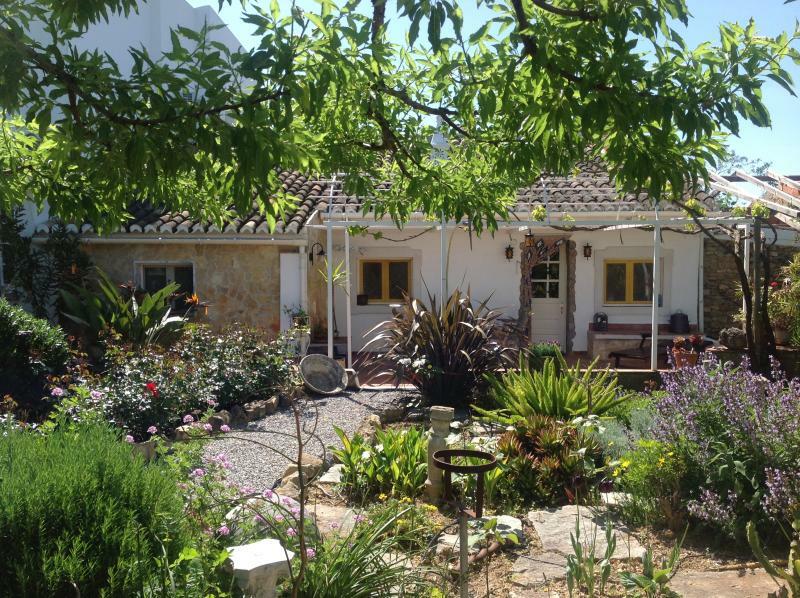 Casa Risonha is situated about 3 km from the coast, about a 30 minute drive from Faro Airport, about 20 km from Tavira, and 11 km from Olhao. To reach the closest beach, just get on a ferry at Fuseta (approximately 5 km from Casa Risonha). In 10-minute intervals it takes passengers to the superb offshore islands of the Rio Formosa Natural Preserve. The mountains can be reached within 10 minutes. Spain is just a half hour highway drive away.